Crazy old-fashioned, this architectural dovecote is an outbuilding with unique style and purpose. Incredibly charming and beautifully constructed by hand, this dovecote was built in Somerset England by Gerry Peachey, a craftsman who used traditional hand-made methods for its construction. 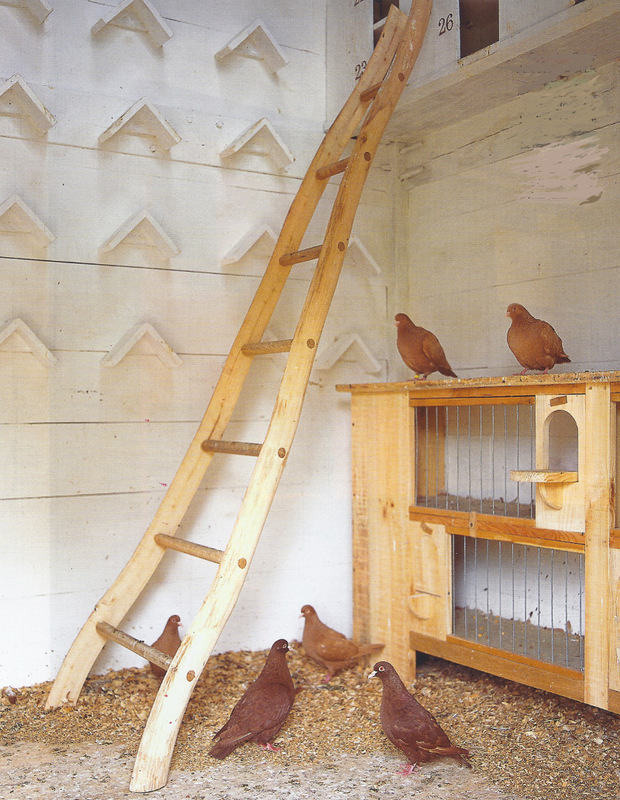 Not just a decorative shed, the dovecote has a specific (if arcane) function — similar to a chicken coop — which is the breeding of pigeons or doves. While that quintessentially19th-century practice might not appeal to everyone the particulars contribute to the unique character of what could be called an extremely fancy shed. 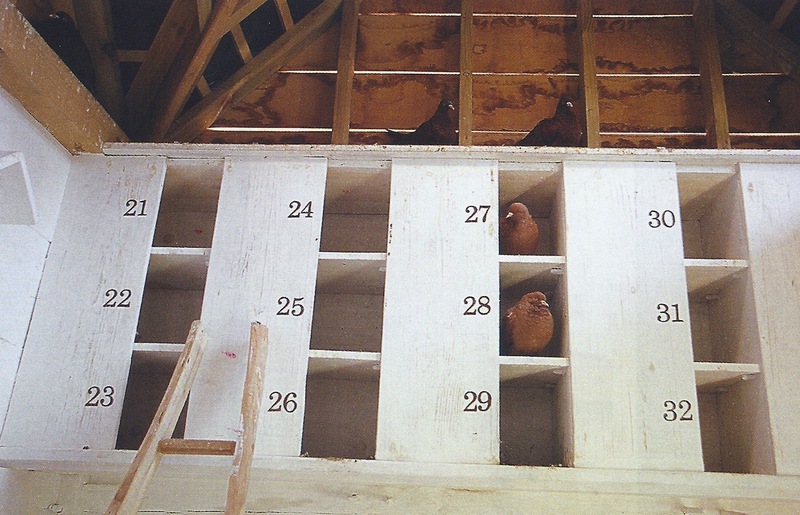 Unlike chickens, nesting boxes in a dovecote are numbered so it’s easier to keep track of breeding pairs and chicks. But the numbers add a wonderful graphic element to the limestone-washed niches. 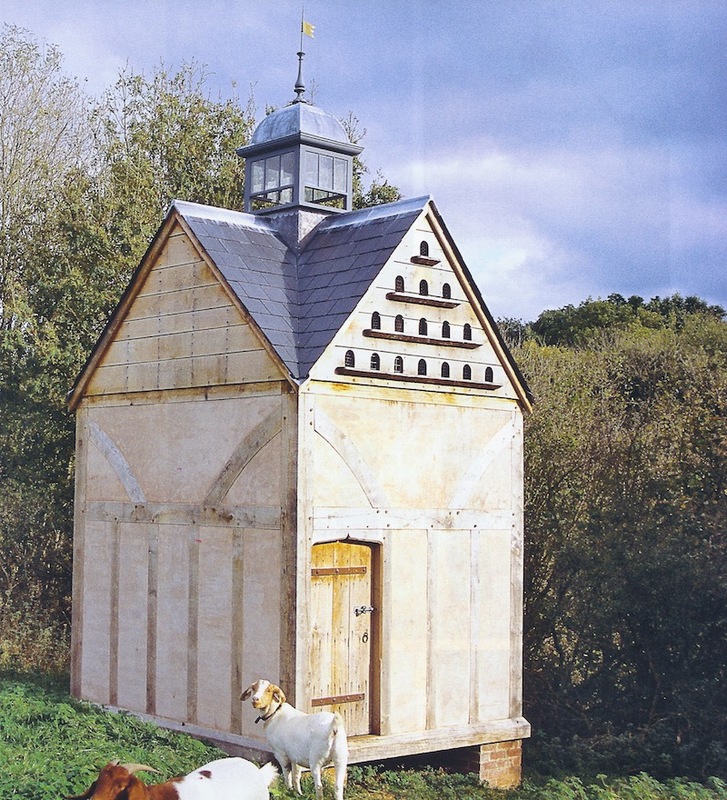 The dovecote was built with an oak frame filled with wattle and daub — essentially a primitive form of plaster made of lime mortar, horsehair and local sandstone which lends the pink cast. The pediment is pierced by 16 arched entry points, in typical birdhouse fashion, as well as an opening just above the roof where birds of a certain size can fly in and out. A handmade ash and oak ladder provides access to the nesting boxes and a place for pigeons to land. 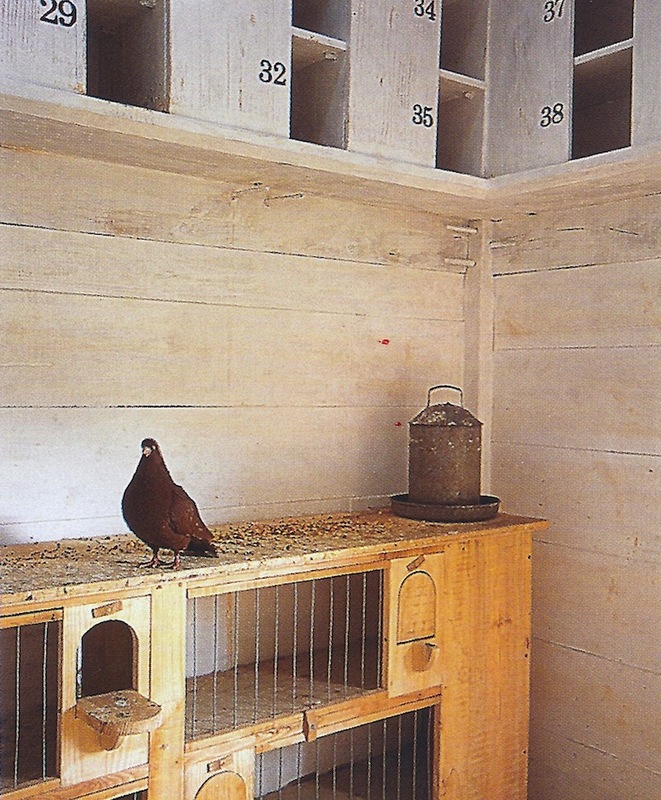 Below the nesting boxes are breeding pens where pairs can be isolated when the little doors are flipped closed. 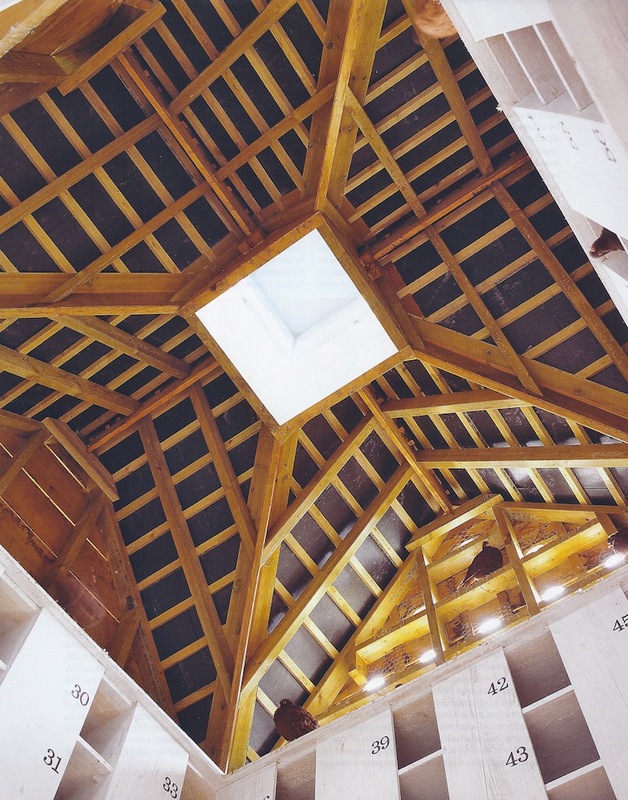 The elegant oak roof beams have a pattern that would be equally beautiful in a bedroom or living room. As sheds go, this one has iconic style that can be appreciated on its own or adapted for other uses.